MooeyAndFriends: I Started A Patreon! I finally started a Patreon! Ever since I learned about Patreon I've wanted to start my own but was worried that no one would be interested. A few weeks ago I even ran a poll on my second Instagram account and received positive feedback but still second guessed myself. Finally, I just went ahead and published my Patreon for Mooeyandfriends. What is Patreon you may ask? It's a way for creators to get paid for sharing their creative work online. 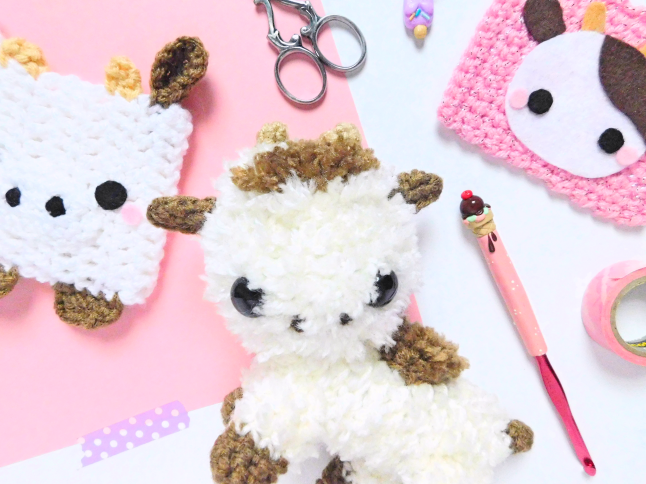 The reason why I wanted to start a Patreon is so that I can share more crochet content without annoying those who may not be interested in crochet. This year I've fallen in love with crochet all over again and have received a lot of decent feedback on my crochet patterns and posts about crochet. I still enjoy blogging about beauty and lifestyle but don't want to turn my blog into a crochet blog. Think of it as a second blog where I talk about crochet and sent you some of the things I make! Now let's talk about the perks you get if you pledge to my Patreon. I currently only have three tiers available but if I get more Patrons I will add more tiers with more rewards. All rewards are different depending on what tier you pick, the higher the amount the more rewards you get. Down below I listed all the tiers with a better explanation of what you get. ♥ A huge thank you for supporting me! This tier is for those who want to support Mooeyandfriends but may not be interested in crochet. You will receive a huge thank you and a coupon for 10% off my Etsy shop. ♥ Exclusive BTS updates - You unlock behind the scenes updates of future crochet projects that I could be working on for my shop and blog. Photos that I won't post anywhere else! ♥ First look at select blog posts before anyone else - You unlock select blog posts which you can read before anyone else! Eventually, these posts will be published on my blog but it could be weeks or even months later. ♥ A crocheted crochet card - You will receive a 3 x 4-inch crochet card. New designs every month! In this tier, you will receive everything mentioned in the previous tier plus, a coupon for 15% off my Etsy shop, be able to read certain blog posts, behind the scenes photos that I won't post anywhere else, and a 3x 4-inch crochet card. 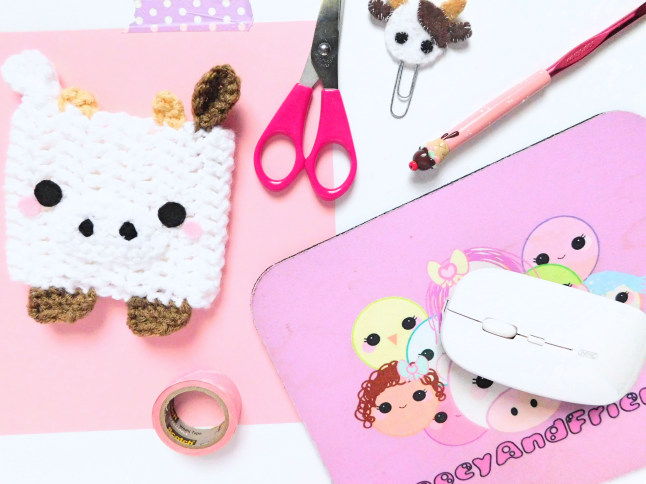 ♥ Extra crochet pattern every month - You unlock an extra crochet pattern that won't be published on my blog until the following month! ♥ A crochet surprise! - You will receive a special crochet something made and designed by me! New designs every month! In this tier, you will receive everything mentioned in the previous tier plus, a coupon for 20% off my Etsy shop, an extra crochet pattern, and a special crochet surprise! You can join my Patreon here.